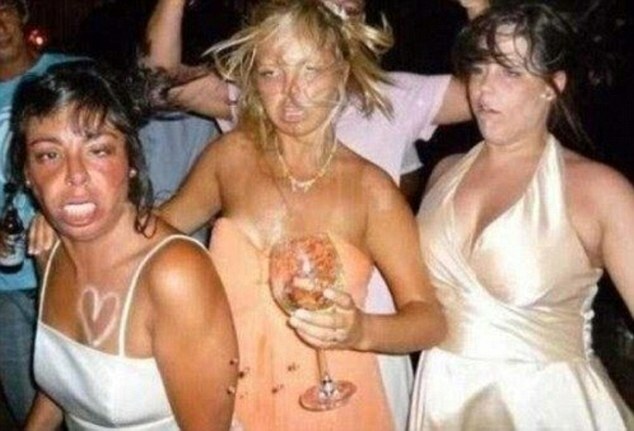 Many of us have had that sinking feeling the morning after the night before when we realise we have been tagged in a photograph on social media. So imagine these revellers horror when their embarrassing shenanigans were not only posted online but went viral with millions of hits. 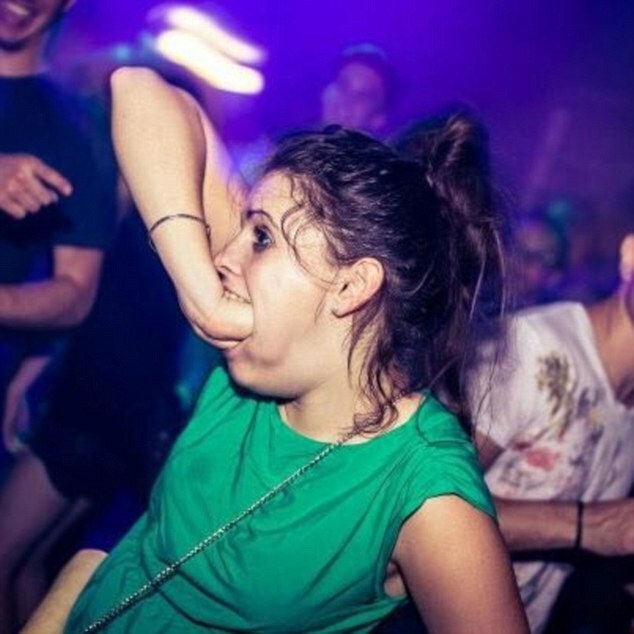 This unsavoury collection of nightclub moments, posted on Tumblr and various other sites, show just how ugly things can turn after one too many cocktails. 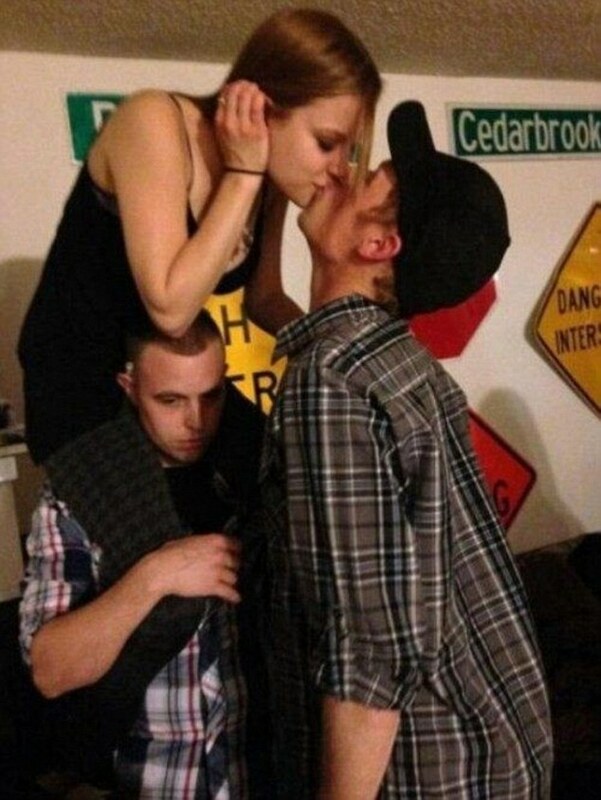 One lip-locking dance floor Casanova tears his eyes away from his fair maiden to check his texts. 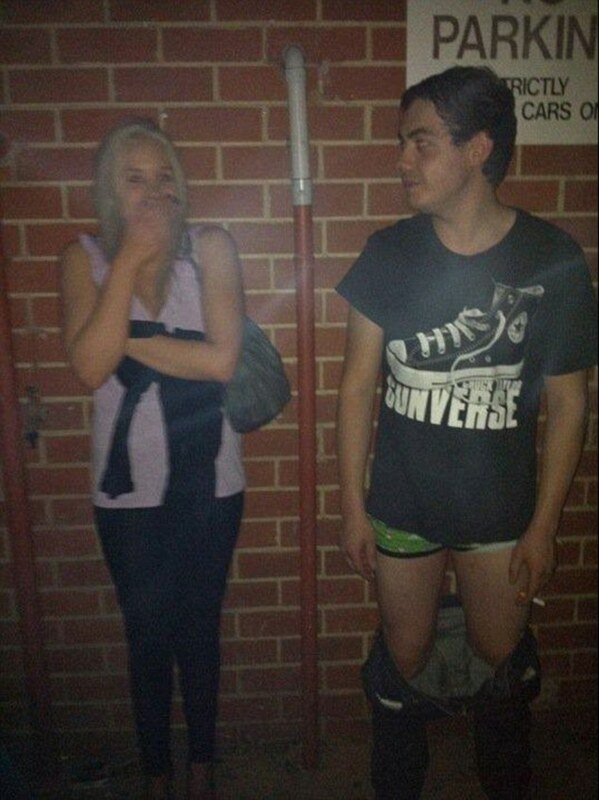 Many men have wondered why women insist on taking toilet trips together. It’s so they can take group photographs if this snapshot is anything to go by. 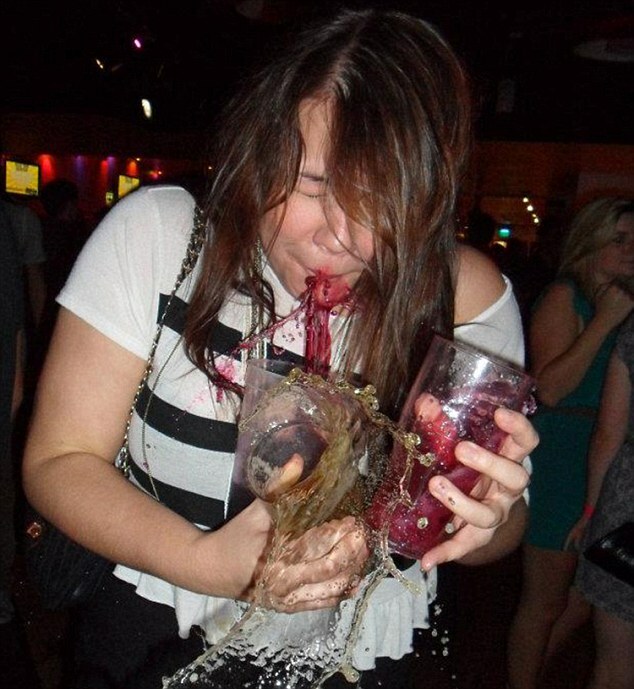 Amber manages to spill all three drinks she is carrying, splashing herself in the face in the process. Another couple manage to pull off the most uncoordinated kiss of all time, complete with tongue-sucking and a glow stick necklace. Unfortunately for him the camera caught his shifty gaze. Another shot of three clubbers pulling some shapes could easily be mistaken for a still from zombie comedy Sean Of The Dead. This trio were no doubt left feeling like the walking dead the next morning. 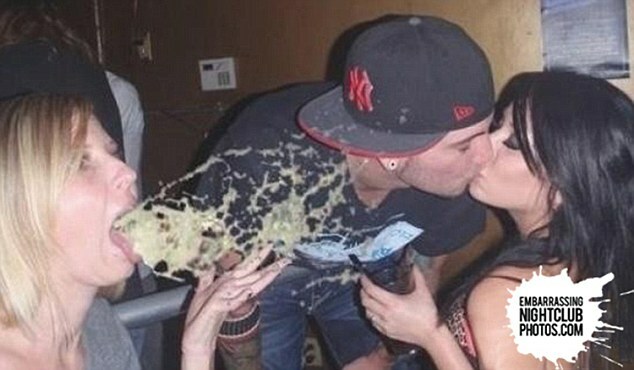 In another image, a romantic kiss continues uninterrupted despite the spray of projectile vomit flying towards the unsuspecting couple. 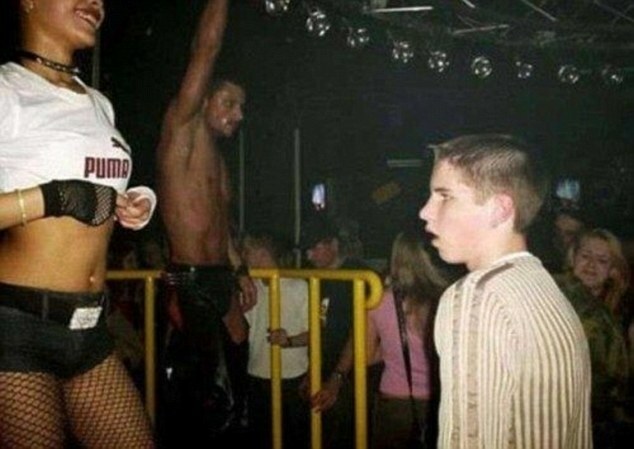 One young male clubber is spellbound by a scantily-clad dancer, with his gawping face captured on camera. 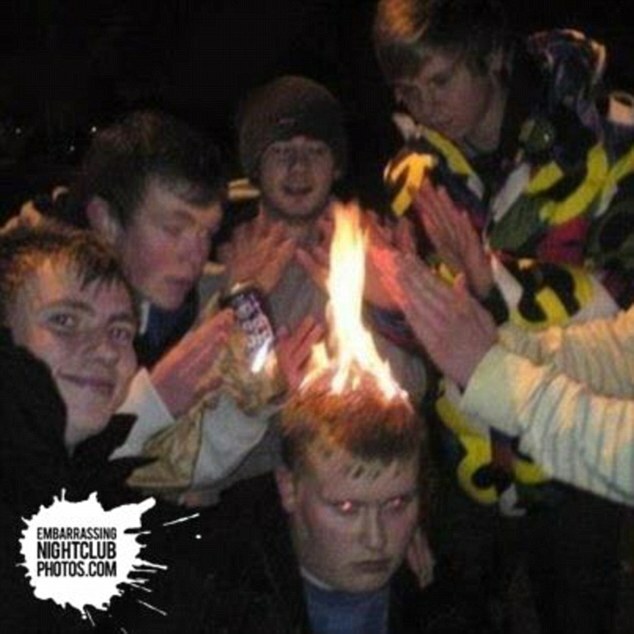 A group of young lads create a genius method to deal with the cold of the smoking area, using their friend’s head as a fire. What could possibly go wrong? A gruesome group, one of which appears to be spilling her white wine, would have Prince Charming hoping that the glass slipper fits none of them. 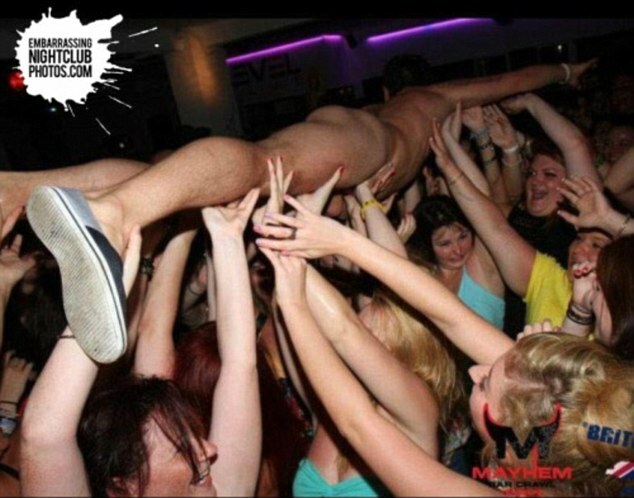 Another snapshot perfectly demonstrates the perils of the naked crowd surf, both for the crowd and the surfer. 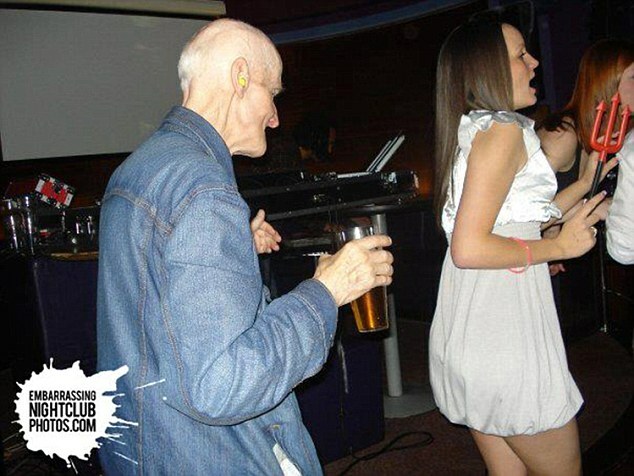 One elderly gentleman relives his youth, clutching a pint and dancing behind a much younger woman. A group shot of four young women shows the pitfalls of doing your make-up in the dark, with one exhibiting a very orange face. In one photograph a male clubber points out a rather mysterious and embarrassing stain on the back of a dark-haired reveller’s dress. 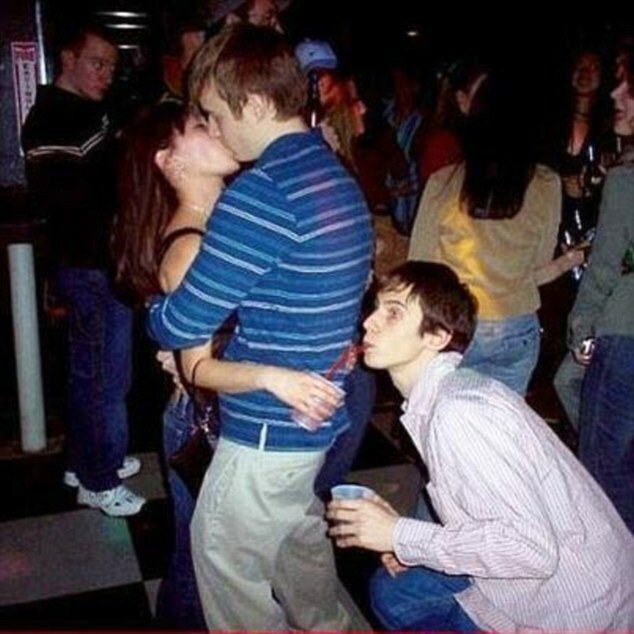 Men can’t multitask? A caring male blows that theory out of the water by propping up his ailing friend while planting a smooch on a female companion. And one man’s Ibiza tan is not all is seems. A tell-tale pale line below his hair belies his true pasty hue. One guy appears to be copping a feel of his semi-naked male companion – but the other party appears to take it in his stride. One unfortunate chap should probably wear a belt next time he ventures out, but at least his friend had a bit of a giggle. 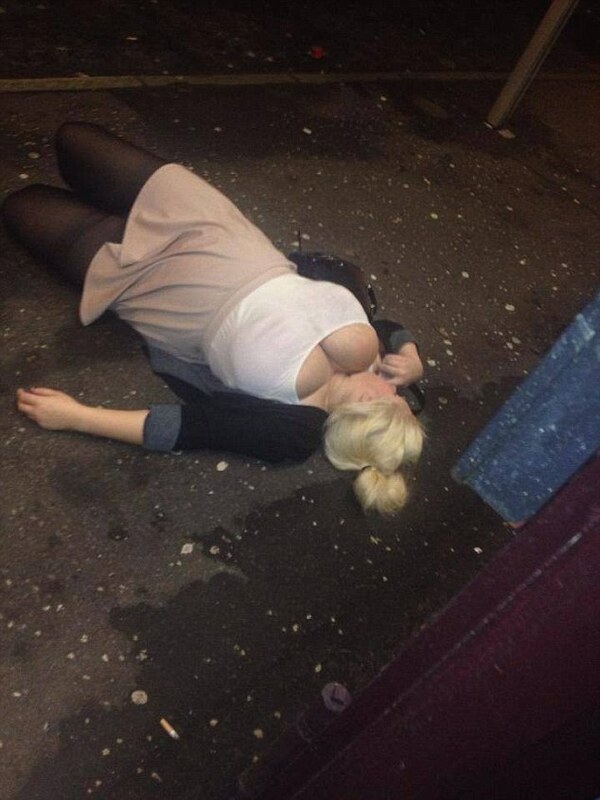 Meanwhile it all got too much for one clubber who passed out on the pavement, revealing her ample assets.